LeBron James was named to the 2016 Olympic pool for Team USA but said he still doesn't know if he'll participate. 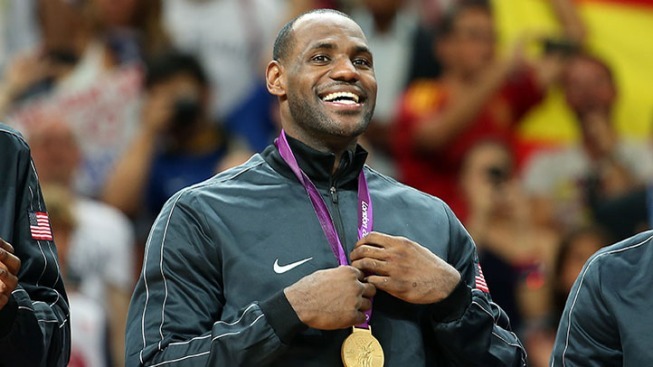 LeBron James is in the pool of players that could be headed to the next Olympics for Team USA. After being named one of the 28 men in the pool for selection to Team USA on Thursday, NBA star LeBron James has said he still doesn't know if he'll participate in the 2016 Olympics. While the Miami Heat forward is in the running, it's ultimately up to him to take part in the Summer Games. "I don’t know where I stand for 2016," James told ProBasketballTalk.com. "Obviously, if I’m healthy in 2016 that summer, if I can get to leading our country by playing, then that would be great to be a part of that. But I can’t commit to it right now." The Miami Heat may rule the NBA but when it comes to relaxing off the court, nothing gets the guys to loosen up like singing karaoke. For the second straight year Shane Battier will be hosting Battioke, with his teammates taking the stage and singing. James has taken home medals in all three of his previous runs in the Olympics, winning a bronze medal in Athens, followed by a gold medal in Beijing and London. No NBA player has ever taken home three gold medals, which is something James would get the chance to do if he played in 2016. The majority of players who took part in the 2012 gold medal run are part of the pool for 2016 as well. James would not be joined by teammates and former Olympians Chris Bosh and Dwyane Wade, who were not included in the 28-player pool, reported the South Florida Sun Sentinel. Neither participated in the 2012 Games, making them unlikely candidates for 2016. 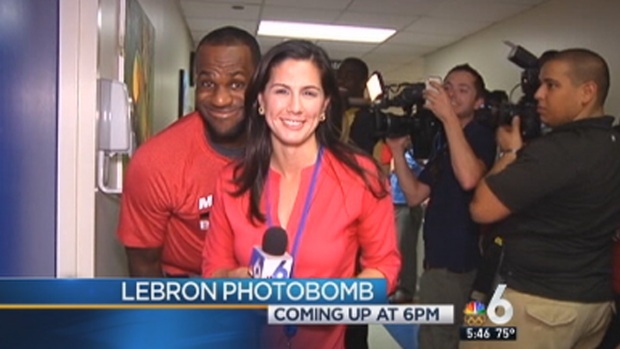 The Miami Heat's LeBron James photobombed NBC 6 reporter Laura Rodriguez during a visit to Holtz Children's Hospital Thursday. Watch the moment happen in this video. Wade has missed four straight Heat games due to knee problems. Meanwhile, Bosh told the Sun Sentinel he is looking forward to spending the summer with his children. "I got kids, man," Bosh told the newspaper. "I've been talking to my kids, they're little things and they're glad to get their Dad back in the summertime. I have a fantastic time with them. I feel that other guys should experience the same things that I experienced in the World Championships and the Olympics as well."